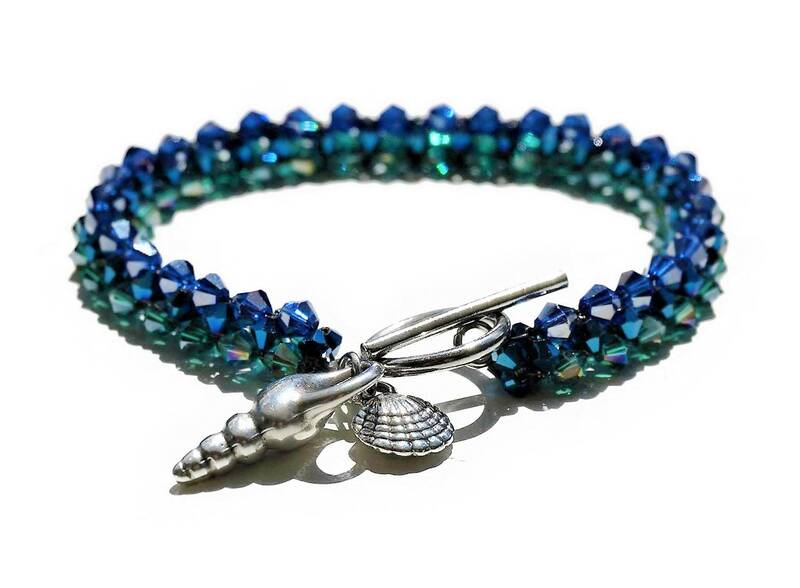 Bracelet shimmering in green, blue and violet faceted glass beads. You can close it with a small silver toggle closure where there are also placed two small silver shell pendants. This unique handcrafted item will be sent in an organza bag. We sell worldwide.